"Liquid Web" Reviews (Apr 2019) - Why 4.8 Stars? Liquid Web's bread and butter is high-touch managed hosting for virtual, cloud, and dedicated servers. While the company is certainly not the cheapest, you'll get what you pay for in performance and always-there Heroic Support®. If you want powerful innovations with premier experts in your corner, you ought to consider Liquid Web. “We've gotten to know a few key members of the Liquid Web team personally, and let us tell you: The passion they put into talking about their products hints that this is a company worth checking out. Liquid Web boasts supreme uptime, always-there-for-you support, and a constant commitment to building out more functionality for the customer. Alexandra Leslie (HostingAdvice.com): This rating is not available yet. We haven't evaluated Liquid Web for the "Cheap" option yet as they do not currently offer this type of hosting service. We're always working to keep our reviews up-to-date so check back later! Does Liquid Web already offer the "Cheap" option? Let us know. 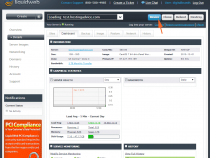 “Liquid Web's strong suit is managed dedicated server hosting. The company owns and operates five state-of-the-art datacenters in the US and Europe works tirelessly to build and maintain custom solutions for added performance and security. “It's no secret by now that Liquid Web is known for best-in-class technology and reliability that exceeds expectations. The company's cloud VPS environments embody that reputation to its fullest — including managed WordPress and WooCommerce products. “Among the latest additions to the company's product portfolio, Liquid Web's managed WordPress and WooCommerce hosting solutions was built on the VPS infrastructure and Heroic Support® that Liquid Web customers already love. The fully managed support rids site owners of the responsibility of maintaining core installs and updates, as well as monitoring the server infrastructure. You run your WordPress blog or business, Liquid Web will run the rest. Alexandra Leslie (HostingAdvice.com): This rating is not available yet. 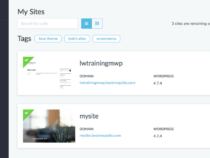 We haven't evaluated Liquid Web for the "Website Builder" option yet as they do not currently offer this type of hosting service. We're always working to keep our reviews up-to-date so check back later! Does Liquid Web already offer the "Website Builder" option? Let us know. Liquid Web offers three tiers of support: fully managed with cPanel or Plesk included, core-managed, and self-managed. Wholly owned and operated datacenters feature fully managed network infrastructure with a service-level agreement (SLA) of 100% uptime guaranteed. Practive monitoring available, along with a 30-minute hardware replacement policy. Deliver your content even faster with an upgraded Cloudflare or Akami content delivery network or load balancers. Guardian off-site backups or storage area network helps site owners protect their data, as well as log storage and cloud storage. Solid security is essential: protect your hosting environments with firewalls, advanced DDoS protection, and compliance assistance. Liquid Web has teams designated to help Windows and Linux users, with more than 250 technicians holding Windows, Red Hat Linux, and Cisco certifications. Call, live chat, or email for assistance anytime and you'll instantly be connected with a knowledgeable technician who's been through thorough training and mentoring. Responses guaranteed within 59 seconds for phone or chat requests. 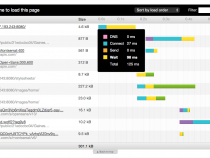 Server stacks specifically designed for WordPress speed. Liquid Web's infrastructure reduces query loads by 95% and increases capacity by more than 75%. A partnership with Jilt, a leader in abandoned cart technology, means you can take immediate action to capture this lost revenue. Liquid Web makes ecommerce easy with free migrations, a page builder plugin, fast theme, and top-tier support. Whether you're setting up a custom cloud server with SSDs and a VPN and want to add block storage and load balancers or you want a hands-free WordPress hosting experience with cPanel control, Liquid Web makes it easy to get started. To give the Liquid Web servers a test, we put out requests using a simple NodeJS/MongoDB app, without caching, using three different locations; the results showed combined page load times as much as 30 to 50 percent faster than those of competitors. Overall, our team found their servers to be pretty impressive, and if you need help getting started, the Heroic Support® team is only a click or call away. Liquid Web hosting is not for those looking for a run-of-the-mill, cheap shared server plan or a basic website builder. The company offers premier hosting solutions featuring blazing-fast servers (cloud, virtual, and dedicated) with over-the-top support. Plus, Liquid Web has a slew of developers on hand actively building and maintaining in-house solutions and add-ons to offer to customers. Pricing is competitive, but you get what you pay for — which is a lot. Liquid Web houses five privately owned datacenters in the U.S. and Europe. The company offers geo-redundancy and supreme disaster recovery support, along with some of the fastest response times in the industry. As a result of the state-of-the-art technology and experienced technicians, Liquid Web boasts extremely high uptime rates. The company even goes so far as to promise 100% network and power uptime, with 1,000% account credits due for every unplanned outage. The expert support of the Heroic Support® agents and the screaming-fast hardware keep your Liquid Web site live and fast and your mind at ease. Redundantly Built Network, 24/7/365 Heroic Support® Available Via Phone, Chat, or Email. 100% Network and Power Uptime Guarantees. Wondering how Liquid Web stacks up againt other web hosting services? See our host-vs-host reviews below and compare them side by side. 3 out of 6 times. Without a doubt, Liquid Web should be a top contender if you want premier managed hosting services with exceptional customer support. Hosting your site with Liquid Web will gain you access to the knowledgeable Heroic Support® team, high-powered innovations, and tireless efforts to maintain your site's availability. The company boasts a 100% network and power guarantee and a consistently high Net Promotor Score (NPS), meaning clients regularly refer the services to others. If you're ready for the real deal in web hosting, Liquid Web should be on your short list.